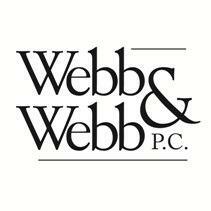 Handling a wide variety of practice areas, the attorneys at Webb & Webb, P.C. law firm in Plano, Texas, provide effective strategies and solutions customized to your specific needs and goals. Serving individuals, families and business owners throughout Collin County and the surrounding areas of the Dallas - Fort Worth metroplex, our law firm's attorneys possess more than 50 years of legal experience between them, making us well-suited to handle even the most complex demands of your case. Primarily focused on business law, probate and real estate law, we also represent clients with legal needs involving estate planning, employment law, oil and gas law, construction law and tax law. Recognized as a staple of high-quality legal services to the members of our community since 1984, our law firm has received a number of awards and honors, including Living Magazine's Best Of Readers' Choice Award for 2016 and 2017. In addition, we receive many repeat clients and positive referrals from those fully satisfied with the exceptional service they receive at our practice. For caring, committed representation from a legal professional devoted to helping you with your legal challenge, look no further than Webb & Webb, P.C. We are ready to serve you in any way possible.